Detroit January 12, 2007; AutoWeek celebrated the best of the best at the North American International Auto Show and announced that the Editors’ Choice Award for Best in Show 2007 was awarded to Jaguar for its new C-XF concept car. "The Jaguar C-XF is the sexiest four-door we’ve seen from Jaguar in years," said Dutch Mandel, editor and associate publisher, AutoWeek. "This car draws a line from Jaguar sedans of the past to Jaguar sedans of the future." For more than a decade, AutoWeek’s Editors’ Choice Awards have recognised vehicles that the editorial staff believe to be Best in Show, Most Significant, Best Concept and Most Fun at international auto shows worldwide. When selecting the winning vehicle for Best in Show, the team looks for the most significant, influential car – the one to remember 10 years down the road. "With the C-XF, we wanted to create something with strength and a distinctive modern style that will carry Jaguar into the future – something with longevity," said Ian Callum, design director, Jaguar Cars. "Ultimately, AutoWeek’s recognition of this tells us we’ve accomplished our goal." 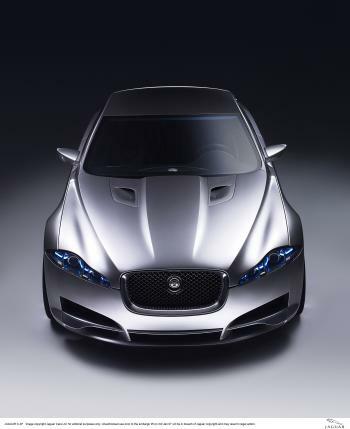 The all-new Jaguar C-XF concept car, a stunning four-door sedan that blends dynamic, modern features with classic heritage cues, made its debut on 7 January at the NAIAS in Detroit. The C-XF, which boasts a 4.2-litre supercharged V8 engine, signifies a new era for the company and is a clear indication of the design direction for the company’s next-generation of sport sedans. "I am truly delighted for Ian and his team that all their hard work and creativity has been honoured," said Bibiana Boerio, managing director, Jaguar Cars. "While the C-XF is not a production vehicle, it is a true representation of our future design direction. This is just the beginning." AutoWeek is the only weekly auto enthusiast magazine in North America. It provides passionate auto enthusiasts with the latest on vehicle reviews, trends, new products, racing, personalities, auto show coverage and more. AutoWeek’s frequency provides readers with up-to-date news and stories within the international automotive world.